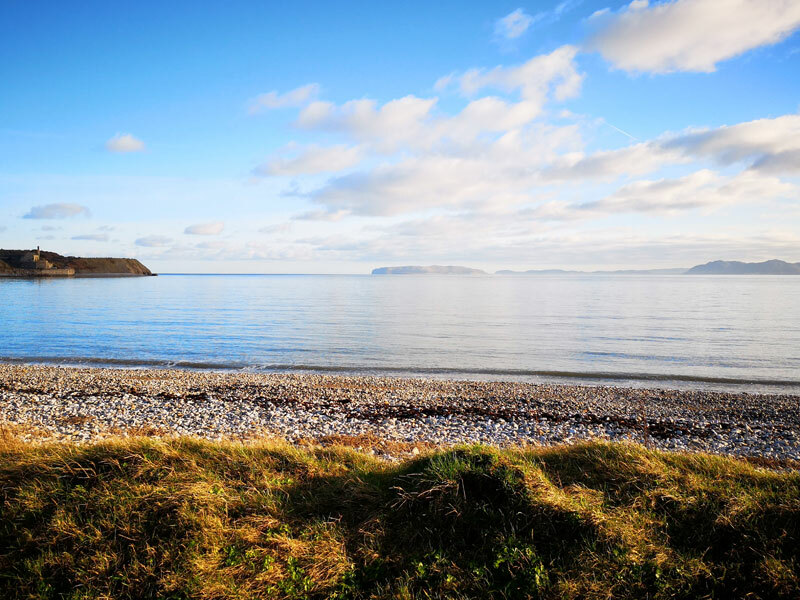 Join us on this fabulous day trip to a small section of Anglesey, our 1st trip – yes there will be more – is taking us to visit the delights of Penmon. After driving through the picturesque town of Beaumauris, the coastal Rd leads to a beachside car Park where we leave our cars behind,to head off along the coast towards Penmon Priory. From here we will head towards Puffin Island & Trwyn Du lighthouse. There is a cafe here. The monastery at Penmon is reputed to have been founded by St Seiriol, a 6th-century holyman and friend of St Cybi. The monastery prospered and in the 10th century fine crosses were set up at its gates, but the Viking raids have destroyed all other evidence of this date. During the 12th century, revival under Gruffydd ap Cynan and Owain Gwynedd the abbey church was rebuilt, and it remains the finest and most complete example of a church of this period in Gwynedd. In the 13th century the Celtic monasteries were persuaded by Llywelyn ap Iorwerth to adopt a more regular rule, and Penmon eventually became an Augustinian priory with quite substantial conventual buildings. The priory survived the Edwardian conquest and expanded slightly, but was dissolved in 1538. The buildings passed into the hands of the Bulkeleys of Beaumaris, who enclosed much of the land as a deep park and built a fine dovecote. They also converted the prior’s lodging into a rather attractive house. Throughout this time the priory church remained in use, as it does today. Puffin Island is the ninth largest island off the coast of Wales and marks the northeastern end of the Menai Strait. Puffin Island’s highest point is Carboniferous limestone, at 192 feet (59 m) above sea level having steep cliffs on all sides. It has an area of 69 acres (0.28 km2). The island is privately owned by the Baron Hill estate. There is a cafe overlooking Puffin Island where we will have a brew/snack. There is a little surprise at the end of our walk today which is quite simply lovely. Please bring usual walking attire, sit mats if you have them, and allow plenty of time to find our starting point.